Today after work, I decided to mail some bills. As I was leaving the apartment, my inner voice said, “Lock the door. You should take a walk.” I locked the door and went to the mailbox to mail the bills. Afterward, I started heading toward Brushy Creek park. So I walked. Twenty minutes or so later, I turned the corner and saw a small leaf on the sidewalk. It was heart-shaped. My inner voice said, “Love is everywhere. People just don't see it. You don't see it often enough.” I stopped and looked at the leaf. It was unusual; not like one of the nearby trees, but from a lily from the nearby creek. What was it doing here? I kept walking. A couple hundred feet later, I saw an old man (in his eighties?) with a bright pink kid's bicycle, overturned. As I got close, I saw that the chain had come off the bike. Another man was trying to help him, but was unable to feed the chain back on the bike because a plastic chain guard was in the way. I pulled out the handy leatherman tool from my pocket and unscrewed the plastic guard and removed it. The younger man held the bike while I fed the bicycle chain back on. Then I tightened the wheel so the chain wouldn't come off again. Next, I put the plastic chain guard back on and screwed it down tight. The old man was very grateful and thanked me. He said, “I stopped carrying tools many years ago. Thank you so much.” He called his granddaughter from the nearby playground and soon they were on their way. 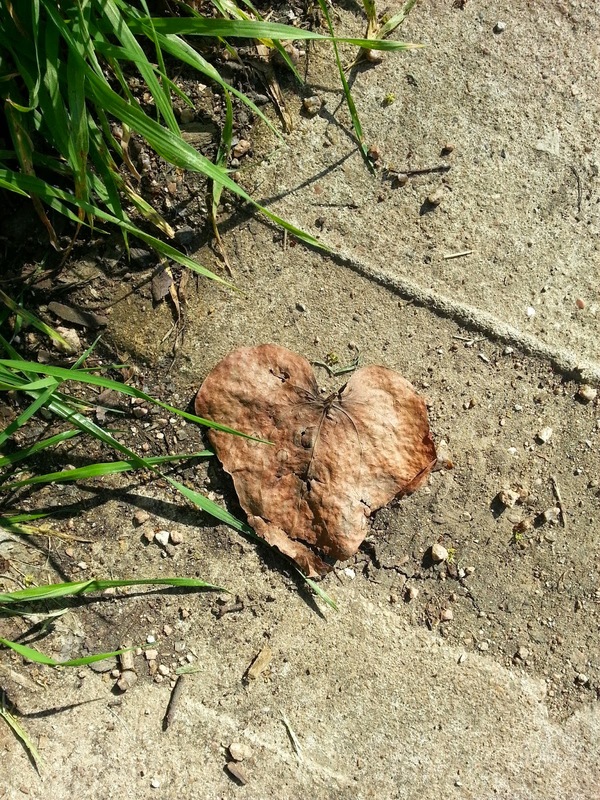 Ten minutes later, as I walked back toward the apartment, I saw another, bigger heart-shaped leaf on the sidewalk. This time I took a photo of it and smiled. 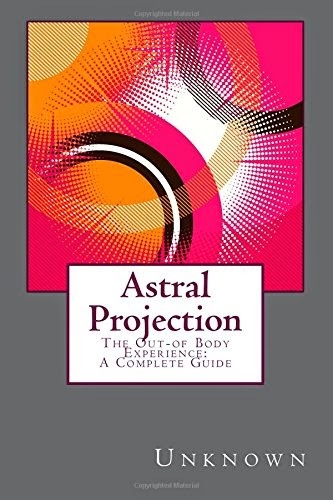 Today I'm reviewing Janet Bord's 1973 book "Astral Projection." This was probably one of the first books I ever read on astral projection because when I started my quest in 1979, there wasn't much else available. Muldoon, Monroe, Crookall, and a few others. The first thing to note is that it's a small book, about 7 by 4 inches. It's also short: just 62 pages. Still, it's got a small font, so there's a fair amount of information inside. The author is not an experiencer; she's just an author who researched the subject and wrote a book about it. She collected OBE accounts and did her own informal surveys. In that respect, it's very basic and doesn't treat the subject in any great depth. Can It Be Induced At Will? The first chapter describes OBEs and what they're like. It talks about the astral body, the silver cord, and so forth. It cites several OBE accounts to describe these things. It mentions that OBEs mostly happen once in a lifetime to many people, and very few have more than one. Despite that, Bord got the help of OBE adepts to go into a bit more depth. In other words, she wasn't just skimming the surface. Chapter two is about obe of those adepts, Mrs. C.A. of London, who has had many OBEs. It has several of her OBE narratives. (I love OBE narratives). Chapter three talks about the different things that can trigger OBEs, and in that respect, it reminded me of Robert Crookall's OBE books, but it wasn't as detailed: it was pretty basic information. Chapter four talks about the vibrations, exit sensations, exit noises, hypnagogic imagery, and so forth. It was good, solid information. The last chapter contains instructions from repeat OBErs on exactly how they self-induce their OBEs. There are only two methods described, but both are interesting to read. The first involves using mirrors to memorize yourself from another perspective, then using your imagination to transfer your consciousness to the astral body. The second method involves relaxing and drawing all your awareness into your head, trying to center the seat of your consciousness at your pineal gland. This book is small, but well organized and well written. The information is very basic, but solid. It's perfect for someone who knows nothing, but is curious about OBEs. It doesn't go into any great depth, so it won't satisfy people who are familiar with the subject. 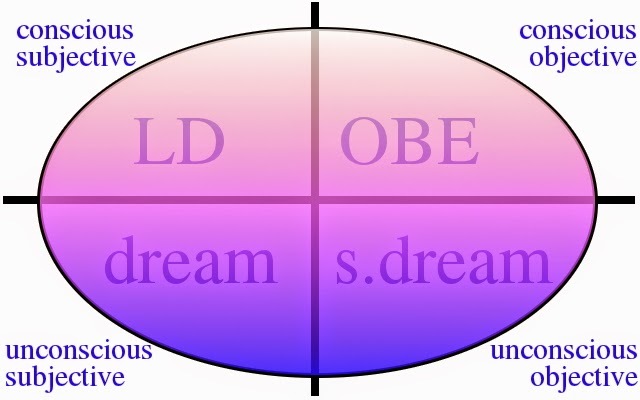 If you're looking for depth, read Frederick Aardema's, Robert Monroe's, or William Buhlman's book.